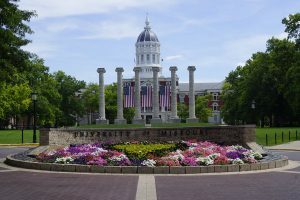 Sustainable microgrid technologies are helping the University of Missouri achieve its carbon reduction goals. We explain the evolution of the microgrid in this excerpt from Gas Turbine Microgrids: Reliability and Sustainability through Intelligence. The University of Missouri’s sustainable microgrid project is in keeping with the college’s history of energy innovation. 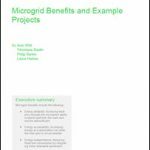 The University of Missouri (Mizzou) has been able to reduce its coal consumption by 73 percent through use of highly efficient and sustainable microgrid technologies — moving it significantly toward its carbon reduction goals. The college’s efficiency achievements are in keeping with its long history of energy innovation. Mizzou’s full service energy center has evolved since the late 1800s when Thomas Edison donated one of his earliest steam turbine driven electric dynamos (DC generator). When MU illuminated Academic Hall in 1883, it was one of the first demonstrations of incandescent light west of the Mississippi. Today, the large and complex microgrid serves a 15-million square-foot campus in Columbia, with a campus population of more than 34,000 students. The 66-MW energy center employs four coal-fired boilers, a 100-percent biomass-fired boiler, four steam turbine generators, a dual-fuel oil and gas-fired boiler, and two Solar Titan gas turbines with heat recovery steam generators and sophisticated controls. The power plant campus experienced a summer peak electric load of about 50 MW and has a winter peak steam demand of about 330,000 lbs/hour. 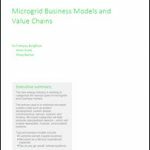 The sustainable microgrid is interconnected with the local municipal utility through a 69-kV tie line, and leverages favorable wholesale market prices through MISO when possible. When grid prices are high, the university relies more on its on-site power generation. This interconnection also allows MU to contract for renewable energy generated off site such as wind and solar. As the plant was gradually modernized over the years, it gained various microgrid capabilities. “We didn’t one day sit down decide to become a microgrid; we evolved into a microgrid,” said Harry Frank, managing engineer of power plant operations, energy management. Two pivotal additions over the last 15 years significantly increased its efficiency, intelligence, response time and environmental footprint. The natural gas turbines offer an example of highly efficient use of fuel. They not only generate 12.7 MW each, but also produce high-temperature exhaust gas that is channeled into waste heat boilers. That high pressure steam (900 psig) supplements the other boilers that produce steam to drive the steam turbine generators, producing additional power. This means more electricity from less fuel, the hallmark of energy system efficiency. The university extracts low pressure steam (60 psig) from the steam turbines and delivers this thermal energy to campus for heating campus buildings, producing domestic hot water, chilled water production for air conditioning, and various campus operations. These include the university health center, athletic facilities, student recreation center, research reactor and food service. The second major upgrade to Mizzou’s plant occurred in 2013, when it added the biomass combined heat and power unit. The unit not only offers the customary efficiency of CHP — making the most of fuel by co-generating both electric and steam —but also offers the opportunity to leverage the benefits of renewable energy. The campus now receives more than one-third of its energy from renewables, primarily from the biomass plant along with a wind power purchase agreement. The sophisticated campus microgrid can leverage fuel prices for best economics. But given the current small variation in biomass, coal and natural gas prices, the college is maximizing use of biomass to reduce carbon emissions. And it may expand the biomass use in the future to continue to further drive down emissions. Sustainability is a priority for Mizzou. The university has signed on to American College and University Presidents’ Climate Commitment, now known as the Climate Leadership Commitments, and is working toward achieving climate neutrality by 2050. It has already cut a greenhouse gases by 51 percent over a 2008 baseline with the help of the campus microgrid. Because of its sophistication, Mizzou’s sustainable microgrid has gained a national — even international reputation. Hundreds of visitors from around the world visit the campus to learn about how the energy center functions. Even more importantly, the energy center acts as an educational tool for Mizzou engineering students. Reliability, efficiency and sustainability are the energy center’s three tenants — but always in the context of the university’s main mission—educating the next generation. “Universities have been leaders in adopting gas turbine microgrid technology. And the University of Missouri stands out as a model among them demonstrating for engineering students — and everyone else — how this technology can help us move from less carbon-intense generation,” said Chris Lyons, power generation program manager at Solar Turbines. Natural gas fired Solar turbines are wonderful pieces of equipment easily to install their waste heat recovery unit fits perfectly in this university situation. Thanks for your multiple insights on different electrical creations. Might I add a tremendous amount of instrumentation goes right along with these innovations. Thanks again Ms. Wood. The word “tenants” in the penultimate paragraph should be “tenets”. Where is the solar in “12.7-MW Solar Titan gas-fired turbines” or anywhere else in the system?